Yep, you guessed it, Facebook & Farm Town. If you experience any problems or you have any suggestions then please let me know using the Contact page. This site is free for you all to use but does cost money to run, dont feel like Im trying to sponge off you all but any small donations would be welcome. You could always become a member which will help with contributing & includes the auto bonus collector, auto gifter, auto clicker & a couple of other improvements. Please visit our members page for further details on becoming a donating member. This donate button will not make you a member. 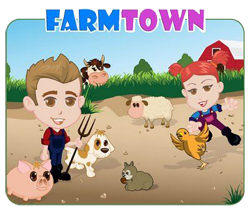 So here we have it, a site dedicated to just Farm Town gifts, simple to use, no ads, no registration & free for all. If you think our site is worth sharing, please click the Facebook like button at the top of the screen. Remember, please add your links helping me to help you. A big thanks to all who uploaded their links, we now have a grand total of 704,970.